Start improving your ACT score or SAT score today with Magoosh! Both the ACT and SAT are accepted by all U.S. colleges. Both the ACT and the SAT include core sections on Reading, Writing, and Math. Both tests include an optional essay, and neither penalizes for wrong answers. Both are taken by millions of students, and there is no longer the geographical divide there once was between test-takers on the coasts (mostly SAT) and test-takers in the middle of the country (mostly ACT). So how do YOU decide whether the SAT or ACT is best for you? 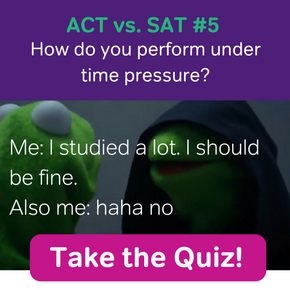 When I did one-on-one ACT and SAT tutoring, one of my favorite games to play was “Are you an SAT student or an ACT student?” (Well, I played this game in my head anyway.) I asked students about their interests in school (literature, science, math) and outside of school (sports, dance, video games). I asked them about how they did in school and how they felt about standardized tests. I asked them about their strengths and weaknesses and their biggest worries about the college admissions process. By the end of this initial conversation, I could usually determine with greater than 90% accuracy which test they would do better on. And this is without looking at any diagnostic test scores. Of course, I looked at the scores too. If my students had PSAT scores, PreACT scores, or practice test scores, this often made the decision a lot more concrete. But my point is: I could often make a really, really good guess just by sizing up who my students were as people. But this only came after years of experience helping high schoolers prep for the SAT and ACT. If you’re a high schooler trying to decide if you should take the SAT or the ACT, or a parent trying to help your child choose between the tests, or a counselor looking to advise your many students, you might not have this level of insight. That’s why we’ve compiled all of our best information here on the differences and similarities between the ACT and the new SAT that launched in March 2016. Click the thumbnail to view our handy infographic comparing the ACT and SAT! The ACT takes 2 hours and 55 minutes to complete without the essay, and 3 hours and 35 minutes with the essay. The SAT takes 3 hours to complete without the essay, and 3 hours and 50 minutes with the essay. Of course, this does not include time for filling out paperwork, instructions, or breaks. All in all, you’ll probably spend at least 4 to 5 hours in the testing center. So, bring your snacks! Check out our breakdowns for SAT Test Day and ACT Test Day for more details on what your morning is going to look like. It’s also important to note that one of the major challenges of the ACT is how time pressured it is. The vast majority of students struggle to finish at least one of the ACT sections, and many struggle to finish several of the sections within the time limit. Of course, plenty of students run out of time on the SAT as well; in fact, many students and tutors have reported that the new SAT is much more difficult to finish on time than the old SAT. So it may be possible that this oft-noted distinction between the (old) SAT and the ACT is no longer as valid, but we’ll continue monitoring as more students take the test. You’ll have less time per question on every section of the ACT than you will on the SAT. Overall, across sections, you’ll have an average of 50 seconds per question on the ACT and 1 minute and 10 seconds per question on the new SAT. Keep in mind though that the questions are different; SAT questions may take you longer to parse than ACT questions, so you may need that extra time. The SAT has 4 multiple choice sections plus an optional essay. When you take a peek at the English section on the ACT and the Writing & Language section on the SAT, you’ll find that they look virtually identical. Not only that, they test many of the same concepts (although we do feel these concepts are tested in a bit more of a nuanced fashion on the new SAT than the ACT, with tricker answer choice phrasing). Reading Level: All of the passages on the ACT English section are at a relatively easy reading level (say, about 9th grade). The passages on the SAT Writing & Language section can vary in difficulty, however, from early high school to early college. Informational Graphic Questions: On the ACT, all of the questions are about the text. On the SAT, you’ll see a couple questions on tables and graphs connected to the text. Check out our video on the differences between ACT English and SAT Writing for more details! Math Level: The new SAT has upped its game as far as math difficulty goes: you’ll see some questions on advanced math and trigonometry. However, as our SAT expert Chris Lele reported after taking the SAT in May, at least right now, the ACT includes more questions in the realm of Algebra II and Trigonometry. But for either test, don’t panic if you haven’t studied trig! All of the trig knowledge tested on either the SAT or ACT is at a very basic level. In fact, I’m fairly confident you could teach yourself what you need to know with our trig study guide for the new SAT and trig resources for the ACT (and for video lessons, go to Magoosh SAT or Magoosh ACT). Calculator Usage: This one’s pretty important! On the ACT math section, you can use a calculator on every single question (whew!). But as you may have noticed above, the SAT includes a 25 minute no-calculator section with 20 questions. The math here is meant to be easy enough to do by hand, but keep in mind you might want to be brushing up on your mental math skills. 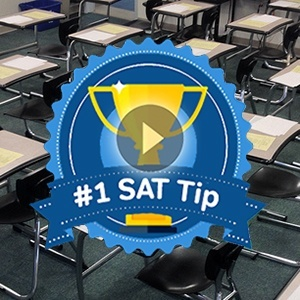 If you are a whiz with numbers who can eyeball math problems and do calculations in your head, you might be at an advantage on the SAT over many of your peers. Multiple Choice vs Grid-ins: The ACT Math test is all multiple choice, meaning you’ll always be able to have at least a 20% chance of getting the answer right, even if you have no idea what you are doing. The SAT Math test is 80% multiple choice and 20% grid-ins, meaning you have to fill in the blanks with your own answers on these ones. 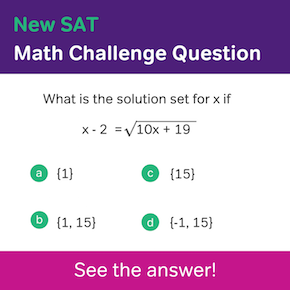 Our video comparing the new SAT Math and ACT Math sections tells you more! Number of passages: There are four long passages (700-900ish words) to read on the ACT and five longish passages (500 to 750 words) on the SAT. Or rather, there are 4 discrete reading sections on the ACT and 5 on the SAT. Both tests include one set of paired passages for you to compare, but count these as a single passage. Passage complexity: The reading level of the passages on the ACT is pretty standard across the board (about a 10th to 11th grade level). On the SAT, you’ll find a range from 9th grade to early college. There are further differences in question types between the SAT and ACT, including the SAT’s use of a special question type the College Board calls Command of Evidence. We have further articles breaking down the differences on our blog that you can check out, as well as this video! ACT Science vs SAT ?? Well, it’s tricky to compare apples to…nothing. The Science section is unique to the ACT; there’s nothing like it on the SAT, or really on any other standardized test I know of other than those developed by the ACT organization. Before you jump to conclusions about whether or not you are good at science and whether this means you should take or avoid the ACT, you really should know that there is very little actual science knowledge tested on the ACT Science section. Kind of bizarre, right? 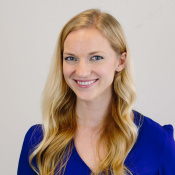 You’ll see a handful of questions that do require you to bring in outside knowledge, but most of the questions have to do with your ability to read tables and graphs, make assumptions about scientific situations, or evaluate scientific hypotheses. I suggest you take a look at our ACT Science lessons or the example ACT Science questions on the ACT website before making any decisions about your suitability for this section. Although the SAT doesn’t have a discrete Science section, it’s worth noting that the new SAT places a much greater emphasis on interpreting tables and graphs across all of the sections. You might think of this as its response to the ACT Science test. Being able to interpret data will help you on both tests. Here’s your complete guide to tackling the many graphs and tables questions on the ACT Science Test. Even though the ACT and the SAT are looking a lot more similar these days, one point of pretty significant departure is the optional essay (optional assuming the colleges you are applying to don’t require the essay). On the ACT essay, you’ll be given three different perspectives on a debatable issue and be asked to evaluate them and present your own perspective. For those of you who excel at debate and/or coming up with supporting examples on the spot, you might be naturally suited for the ACT essay. On the SAT essay, you’ll be given a 650-700 word passage to read (yeah, that is a decent amount of reading before you even get to the writing part). Then you’ll write an essay explaining how the author builds his or her argument in the passage. The key difference here is that the SAT doesn’t care at all about your own opinion or your own arguments; it just wants you to evaluate the arguments in the passage. This means that if you excel at analyzing readings in your English class, you might find the SAT essay to be a better fit for you. Check out our in-depth post comparing the ACT vs SAT essays, plus our video, for more! ACT: The ACT uses what’s called a composite score to give students an overall ACT score. Your overall composite score ranges from 1 to 36 and is an average of your scores on each of the multiple choice sections. 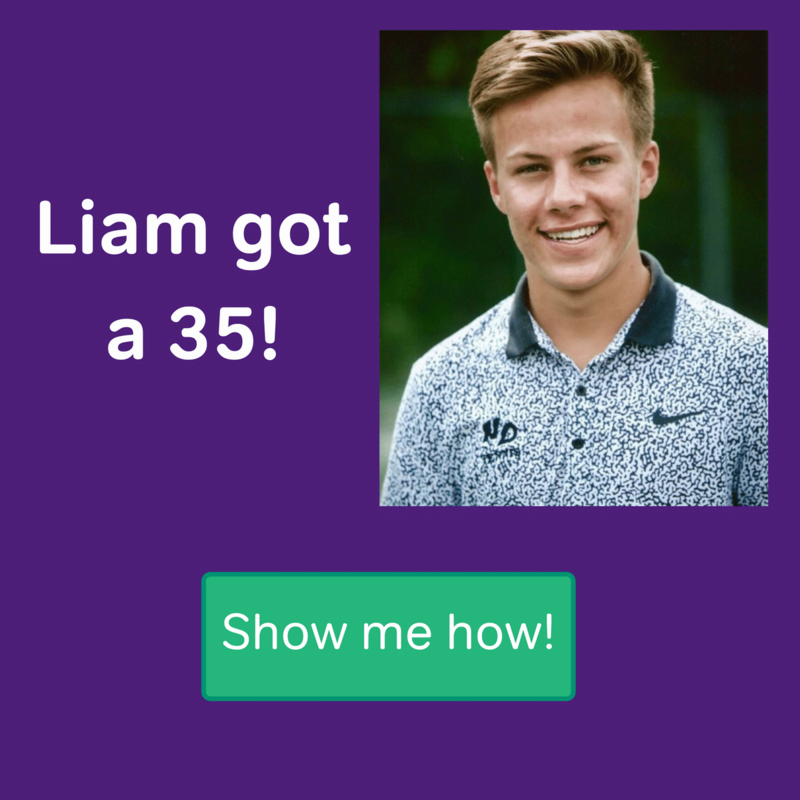 You’ll also receive your individual section scores, which range from 1 to 36 as well, but for most colleges, it’s the composite score that counts. SAT: The SAT is scored on a range between 400 and 1600. This is based on adding your Reading/Writing score from 200-800 and Math score from 200-800 together. Note that even though there are three main multiple choice sections to the SAT—Reading, Writing, and Math—Reading and Writing are combined into one score out of 800. This is different from the old SAT, on which students received a score out of 800 on each of the three sections, meaning the highest score on the old SAT was 2400. We’ve made you an awesome chart that will allow you to easily convert your ACT scores to new SAT scores. To convert your ACT scores to old SAT scores (on the 600-2400 scale), we have a post where you can convert your ACT scores to new SAT scores or old SAT scores. Check it out! Need to find your score quickly? Enter it into the search box! The SAT and ACT take turns on months (except in June, October, and December). Both tests are offered 7 times per year. *The January SAT was only offered through January 2017. From August 2017, an August SAT has been available. **The July ACT will be available as of July 2018. In some months, you could take the SAT and ACT on consecutive weekends, and there are some students that do that, but it’s not always wise. Back-to-back weekends in the test center? Studying for two different tests at the same time? Yikes. In an ideal world, you’re just going to choose one or the other test to prep for (hey, that’s the whole point of this post!). If you DO decide you want to take both, it’s best if you can give yourself at least a month—and ideally more—in between to switch gears. However, with the increased similarities between the ACT and the new SAT, you might find that you can get away with back-to-back tests if this fits best with your schedule. But again, I don’t think that’s the ideal scenario. Students who can’t afford the ACT or SAT can work with their high schools to obtain a fee waiver, which will allow them to take the test for free (with or without the essay), although fee waivers generally don’t cover additional fees beyond that. ACT vs SAT: Which is easier? Which is harder? We know that these are questions that you would love a straightforward answer to, but really it’s going to depend on what you find to be easy or hard. You are really fast at your work. You generally don’t have trouble running out of time on tests at school and you are a fast reader. The ACT, in many ways, is still a more straightforward test, provided you can finish it in time. You like science and are good at interpreting data and trends. Yes, I know I said above that you don’t need to know much science to do well on the ACT Science section. This is still true, but it doesn’t hurt to be interested in what you are reading. Students who may not be a fan of science, but are really good at seeing the trends in graphs and tables and being able to deduce the next step in a process are also likely to be successful at ACT Science. You are glued to your calculator in math class. The prospect of the no-calculator section and the grid-ins on the SAT might be a bit more intimidating for you. You’re not a fast reader, but you’re a good reader. You can understand readings pretty well when you take your time. While you may not be able to take all the time you’d like on the SAT, you will encounter more complex passages on the SAT vs the ACT. This combined with the slightly shorter passages on the SAT, and the slightly longer time period you have to answer questions, could make the SAT a better choice. You’re good at mental math. You’ll be able to breeze through the no-calculator section with confidence while other students sweat. You’re good at reading between the lines and finding traps. The SAT, while not as tricky as it was in the past, still has some tricks up its sleeve. And the better you are at standardized test games, the better you’ll be at the SAT. Generally speaking, we recommend against taking both the SAT and the ACT. You’re splitting your test prep efforts and condemning yourself to more Saturday mornings in a testing center, cutting down on your time for school, activities, and life. You’re a REALLY strong test-taker eyeing the most competitive schools and feel pretty confident you can get a top score on both tests. Some top schools (aka a few of the Ivies) have indicated that they like to see both scores. It gives them more data to have confidence that you are strong across the board. But please don’t take this as a mandate. If you need to focus on studying full-force to get a top score on one test, put all your efforts there. You’ve started your testing early and decide you need to change tactics. Maybe you’ve hit a wall with your ACT scores and want to try the SAT. Or vice versa. If you do this, you want to make sure you have plenty of time to focus on one specific test in your prep. For example, if possible, take the ACT in February and the SAT in May so you have three solid months in between to switch gears. But with the increased similarities between the SAT and ACT, you may certainly find that you need less time in between. What about what students are saying about the ACT vs SAT on College Confidential, Yahoo Answers, Quora, etc.? There’s so much advice out there on the internet on ACT vs SAT, and so much of it is not good for you. A particular concern right now is outdated information about the SAT. The SAT changed drastically in early 2016, so anything written before this point that hasn’t been updated is not going to help you at all. And the situation is still developing as the first groups of students take the new SAT, so we may have more information soon, and we can’t rely on everything even the College Board said before the actual launch of the new SAT. 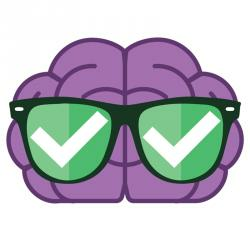 At Magoosh, we often check out what students are saying on College Confidential and Yahoo after each administration of the SAT or ACT (there’s usually a thread on College Confidential about each test with hundreds of comments). What always stands out is that students have such different (and opposite) reactions to the same test. For every student who says, “The Reading section was so hard!” there’s a student who says, “The Reading section was so easy!” You’ll likely come out of this comment jungle more confused than you were before. Find good authoritative sources on the SAT and ACT that you trust and follow their guidelines. Need more help deciding if you are an ACT or an SAT student? Let us know in the comments! Is the ACT a Good Test for International Students? Typo alert! “So how do YOU do decide between the ACT and the SAT? Act math calculator all problems? We just edited and correct the image. Thanks for bringing this to our attention! Wow, very clear comparisons. Thank you, thank you, thank you. Am just wondering if you can support this with specific schools or programs? It might seem reasonable on the one hand, but on the other hand, I think it could drive a lot of students to take both tests. I know you said “This is not a mandate,” but I still would be very interested in your sources. Thank you! Great question. You’re right that this isn’t a mandate,a nd to be honest, the exact value of submitting both SAT and ACT scores is uncertain. However, some universities do indeed specify that they want to see both your SAT scores and your ACT scores, if you’ve taken both exams. Stanford requires you to send in scores from both tests… if you’ve taken both exams. 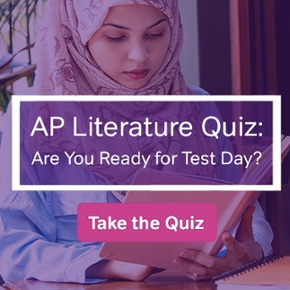 (But note that you don’t have to take both tests; you just need to show scores from both tests if you have CHOSEN to take both tests.) Brown says you don’t need to submit scores form both exams, but that if you choose to send both an SAT and ACT score, both will be considered. Those are just two examples. If you look carefully at the admissions websites of a few other top schools, you’ll see similar policies. None of these top school policies are a resounding demand for both scores. However, the assumption is that thew schools wouldn’t say that they accept both scores together unless there were some value in submitting two topnotch scores form two exams. Again, how much value is a little unclear. My son has been selected to take the SAT or ACT test as a seventh grader. My impression is that the SAT would be a better choice since it looks more at aptitude and less at class work. Do you agree? That’s a tough call. The SAT and ACT are actually very similar when it comes to measuring general aptitude vs. the content knowledge you get from class work. Even the ACT science section only requires a very bare minimum of actual science knowledge; it’s much more focused on aptitude for reading science texts, charts, tables and graphs. Still, I think you may be right that the SAT would be better for a seventh grader, since the SAT doesn’t require any science content knowledge. i cant decide between SAT and ACT. Maths is easy for me on both tests. Writing is also similar on both tests. I can manage Science for the ACT. My major problem is reading. Time is short for me on the ACT while the passages are itself difficult for me on the SAT. What should I do? Okay I am terrible at math, both also not the fastest test taker which do you recommend I take? The ACT? I need to take either the SAT or ACT for the Illinois Teacher license. I have not been in school for over 20 years. Do you Have an opinion on which might be better to take after the time away from school? Our student didn’t do very well on the SAT, and after several weeks of tutoring was only able to increase his test score marginally. We’ve been told that he may do better with taking the ACT. Anyone else have a similar experience? Is this worth the effort on his and our part? Thank so much for this information. What about foreign students? Can they do these tests? Yes, foreign students can take these exams. In fact, you can probably take the ACT, the SAT, or both right in your home country. Just look up your home country in the ACT Test Center Locator or the SAT’s Find Test Centers page. One word of caution, though– make sure the American (or Canadian) schools you’re applying to actually require the ACT or SAT for foreign applicants. Some universities do ask international students to take one of these two exams. However, there are also quite a few schools that only want English proficiency exams (TOEFL, IELTS, etc.) from their foreign applicants. I livein india and am thinking to go to USA for studying business. So often, our students are either strong in math but need to improve in reading, or vice-versa. So the challenge you face is a common one, and one I’ve seen many students overcome. How you overcome Reading challenges depends on the exact kinds of challenges you face. So I recommend thinking about exactly what your SAT and ACT reading comprehension weaknesses are. For example, which ACT Reading or SAT Reading question types are hardest for you? And what skills are most difficult? (vocabulary comprehension, understand inferences, etc?) Once you’ve figured out your exact weaknesses, use targeted practice to build more skills in those areas. This blog can provide you with a lot of practice and advice, as can official materials from the test makers, such as the websites and official guides for either the SAT or ACT. You may also want to consider subscribing to Magoosh ACT or Magoosh SAT, depending on which test you plan to take. As for scholarships, Magoosh has you covered there too. Check out our guides to ACT-based scholarships and scholarships based on SAT scores.